Gluegunsdirect.com doing our bit to help our local hospice – Dr Kershaw’s Hospice, a local cause that’s been close to our heart since the loss of Frank Kenyon in 2005, who was the founder of Kenyon Group Ltd (gluegunsdirect.com). Over the years we have raised monies for this very worthy cause via many different roots car boot sales, runs and golf days. 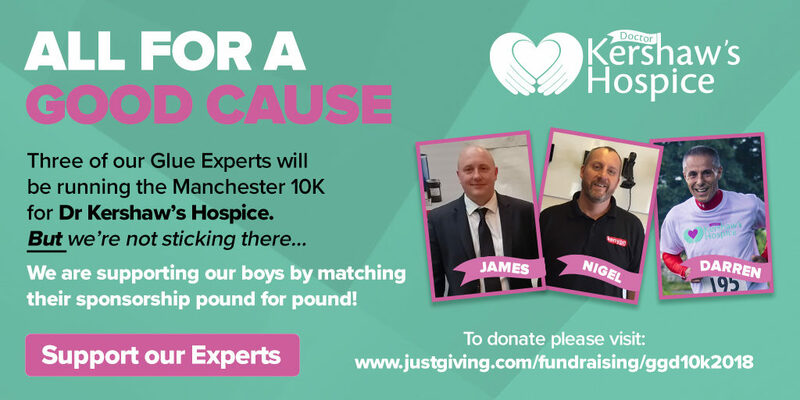 Our Glue Experts Darren Ogden, James Hamilton and Nigel Medworth will be running the Greater Manchester 10K run (20th May 2018) to raise monies for the hospice, please support our boys, we are matching their sponsorship pound for pound. The Hospice provides specialist palliative care for adults with non-curable, life-limiting illnesses in a peaceful and homely environment. Palliative care is an area of healthcare that focuses on relieving and preventing the suffering of patients. Palliative care is appropriate for patients at all stages of illness, including those undergoing treatment for symptom control or rehabilitation as well as patients who are nearing the end of life. 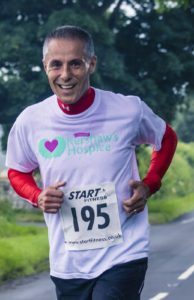 Dr Kershaw’s Hospice is an independent hospice and a registered charity (Charity No. 1105924). It is partially funded by the Oldham Clinical Commissioning Group (CCG), circa £800,000 per year, however, the major part of the annual budget of £2.8m is supported by fundraising activities, donations, legacies, income from the Hospice shops and revenue from the Hospice lottery. The Hospice serves a population of some 220,000 people drawn from Oldham and its surrounding districts and has a close working relationships with Oldham CCG; Pennine Care NHS Trust and Pennine Acute NHS Trust.